To be honest, this adoption was not even on the radar just a few weeks ago. We thought our family was complete. We have a biological daughter named Addy who is 9 years old and an adopted daughter named Avery who is 16 months old. We have a nice life and we were content with 2 kids. But.......sometimes God has other plans. 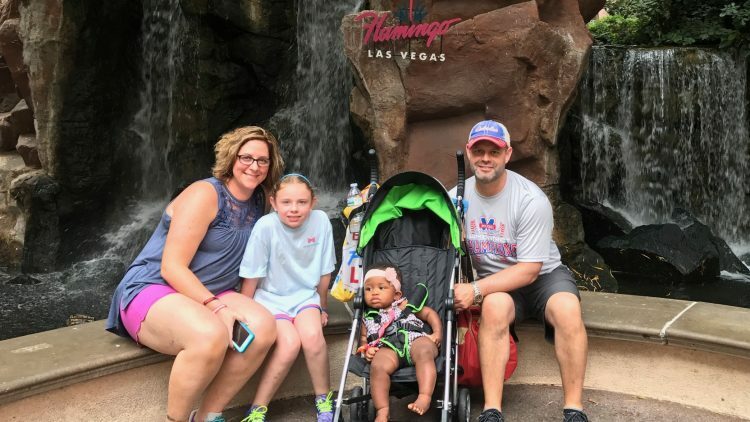 When we first received that phone call asking if we would be interested in adopting a biological sister for our adopted daughter, our initial reaction was absolutely not. We are totally content and not sure if we could even handle another child based on our hectic schedules. Two kids in diapers, that just sounds terrible. Not to mention the fact that we are already 43 years old. How are we going to do this? We are too old to have another baby. Those are a lot of excuses. All of those excuses are valid points. The flip side to that is the opportunity to change not 1 but 2 lives. The chance to adopt a biological sister for your adopted daughter is a huge opportunity. To give them each a stable life where they can grow up together, knowing each other and experiencing this life together. God changed our hearts and we have embarked on this journey to adopt another child. This all happened very fast. From the time we found out the birth mother was pregnant again until the baby was born was 9 days. Our first adoption took several years so we were able to save money and fundraise to prepare for that. This adoption just fell into our laps and we were not prepared at all. We had saved no money and have done no fundraising. This is reason we are using AdoptionBridge. We trusted God that if he provided a way for this adoption to happen, he would also provide us a way to pay for it. We greatly appreciate any donations made on our behalf. God Bless! Congratulations! Adoption is such a blessing! Congratulations! Wishing you all years and years of precious memories! Congratulations on growing your family! We can’t wait to meet Ashton❤️. Love & prayers! I'm a Bennett High School classmate of your Mom's. I want to Congratulate both of you for your courage and love. What a beautiful family. God bless you. I am shelby's Mom. I enjoyed loving on Ashton last week! What a precious doll! God bless you all! So wonderful you want to keep siblings together. They will thank you one day. Emma and I are so excited for you all- congratulations on your new addition! God bless you all. What a wonderful family. Your family is precious. God bless you all. Beautiful family story of your loving family! And, a great testimony of trust as well. Love to you all! Such a precious family. Wishing you all the best on this journey. good for you. what a lovely family. I am so proud of you all for making the sacrifice and changing the life of 2 little children. God will bless you immensely. I wish I could do more but I hope even this small amount will help. God bless you for the love you're sharing with another. Thank you for being open to what God has in store for your family! My prayers are with you! You have been a blessing to work with and get to know! Just love seeing our family grow! I love your heart for adoption and your willingness to love! I trust that God will show up BIG in this journey for you all!! Love this so much! You guys are the best. What an amazing thing you are doing for these girlies!!!!! I love y’all!!!! !